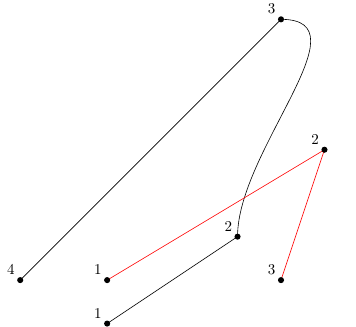 How can I create a TikZ/pgf-style that will put a coordinate, which should be named automatically, at each point of a path? You can use a show path construction decoration that you apply using a postaction to place the coordinates. That way, the underlying path is not changed at all. Not the answer you're looking for? Browse other questions tagged tikz-pgf tikz-styles coordinates or ask your own question. Tikz and Beamer: How to fix coordinate system to be the same on each slide? TikZ can I extract a point's coordinates in terms of basis vectors rather than physical coordinates?